Gedir, J.V., and J.W. Cain III. 2017. Population trajectories and extinction probabilities for populations of large ungulates. Annual Report to the U.S. Fish and Wildlife Service. Roemer, G.W., and J.W. Cain III. 2017. An assessment of the landscape genetic structure of the western continental golden eagle population. Project Status Report to U.S. Fish and Wildlife Service. Salas, E.A.L., V.A. Seamster, N.M. Harings, K.G. Boykin, E. Muldavin, R. McCollough, and K.W. Dixon. 2016. Modeling the Effects of Environmental Change on Crucial Wildlife Habitat. Research Completion Report. Center for Applied Spatial Ecology, New Mexico Cooperative Fish and Wildlife Research Unit, New Mexico State University, Las Cruces, New Mexico. 85 pp. Boykin, K.G., N.M. Harings, V.A. Seamster, N. F. East, R. K. Guy, and M. C. Andersen. 2016. Methods for Determining Biodiversity Metrics, Focal Species, and Conservation Practices for Multi-scale Analysis in Support of the Conservation Effects Assessment Project (CEAP): Informing Management for Grazing Lands in the Southwest. Research Completion Report. Center for Applied Spatial Ecology, New Mexico State University, Las Cruces, New Mexico. 93 pp. 28. Carleton, SA, A Meyers, C Hagen, D Haukos, and C Nichols. 2015. Use of Conservation Reserve Program (CRP) habitat by lesser prairie-chickens in eastern New Mexico. Annual Progress Report to U.S. Geological Survey and U.S. Fish and Wildlife Service. 27. Carleton, SA, MC Quist, J Dunnigan, TJ Ross, and R Hardy. 2015. Stock assignment of fluvial rainbow trout (Oncorhynchus mykiss) in the Kootenai River, Idaho Using Otolith Microchemistry. Final Report to U.S. Geological Survey Cooperative Research Units. 22. Carleton, SA. 2015. Identifying the source of illegal pike introductions in Wyoming and South Dakota using otolith microchemistry. Annual Progress Report to Wyoming Department of Game and Fish. C Strong, WG Gould, R Howard, C Nichols, and G Beauprez. 2015. Investigating lesser prairie-chicken breeding season habitat use, reproduction, and survival to understand patterns of declining lek attendance. Annual Progress Report to National Fish and Wildlife Foundation. 19. Carleton, SA, R Howard, C Nichols. 2015. Effects of fire and mesquite removal on spatial movement patterns of lesser prairie-chickens. Annual Progress Report to Playa Lakes Joint Venture. 20. Carleton, SA. 2015. History and success of the peregrine falcon recovery program in New Mexico. Annual Progress Report to U.S. Forest Service. 21. Carleton, SA, AJ Lawrence, and C Nichols. 2015. Impacts of energy development on lesser prairie-chicken ecology in eastern New Mexico. Annual Progress Report to U.S. Geological Survey and U.S. Fish and Wildlife Service. 24. Carleton, SA, R Howard, C Nichols, and G Beauprez. 2015. Monitoring response of lesser prairie-chickens to landscape management programs on Prairie Chicken Areas to inform and guide habitat management conservation practices. Annual Progress Report to New Mexico Game and Fish Department. 25. Carleton, SA, C Strong, WG Gould, R Howard, C Nichols, and G Beauprez. 2015. Response of Lesser Prairie-Chickens to Mesquite Removal and Prescribed Fire. Annual Progress Report to Play Lakes Joint Venture. Cain, J.W., III, G.W. Roemer, and C. Britt. 2014. Distribution and Habitat Selection/Space Use of Migratory and Resident Golden Eagles (Aquila chrysaetos) in Areas with High Potential for Wind Energy Development in New Mexico. Project Status Report to Bureau of Land Management. 11. Carleton, SA and M Boggie. 2014. Demography, space use, bioenergetics, and carrying capacity of wintering sandhill cranes in southern New Mexico and Arizona. Annual Progress Report to U.S. Fish and Wildlife Service. 12. Carleton, SA and K Zummo. 2014. Measuring scaled quail demography and seasonal habitat use in response to a shrub reduction treatment in southwestern New Mexico and effect of climate on nest and brood success. Annual Progress Report to Bureau of Land Management. 13. Carleton, SA and C Coxen. 2014. Development of a mark-resight survival model using passive integrated transponder tags on populations of band-tailed pigeons. Annual Progress Report to U.S. Fish and Wildlife Service. 15. Carleton, SA, A Meyers, C Hagen, D Haukos, and C Nichols. 2014. Use of Conservation Reserve Program (CRP) habitat by lesser prairie-chickens in eastern New Mexico. Annual Progress Report to U.S. Geological Survey and U.S. Fish and Wildlife Service. 16. Carleton, SA, C Strong, WG Gould, R Howard, C Nichols, and G Beauprez. 2014. Investigating lesser prairie-chicken breeding season habitat use, reproduction, and survival to understand patterns of declining lek attendance. Annual Progress Report to National Fish and Wildlife Foundation. 17. Carleton, SA, AJ Lawrence, and C Nichols. 2014. Impacts of energy development on lesser prairie-chicken ecology in Eastern New Mexico. AZ/NM TWS Annual Meeting. Pinetop, AZ. Annual Progress Report to U.S. Geological Survey and U.S. Fish and Wildlife Service. Gould, M.J., J.W. Cain III, G.W. Roemer, and W.R. Gould. 2014. Estimating abundance and density of American black bears (Ursus americanus) in New Mexico using noninvasive genetic sampling-based capture-recapture methods: Report on 2012 data collection in the northern Sangre de Cristo Mountains. Annual project report to New Mexico Department of Game and Fish. Overstreet, M.W., J.W. Cain III, and C.A. Caldwell. 2014. Adult survival, apparent lamb survival, and body condition of desert bighorn sheep in relation to habitat and precipitation on the Kofa National Wildlife Refuge, Arizona. Final Project Report to USFWS-Kofa National Wildlife Refuge. 14. Carleton, SA, C Strong, WG Gould, R Howard, C Nichols, and G Beauprez. 2014. Investigating Lesser Prairie-chicken breeding season habitat use, reproduction, and survival to understand patterns of declining lek attendance. Annual Progress Report to Candidate Conservation Agreement – Center for Excellence in Hazardous Materials Management. Munro, K.J., J.W. Cain III, and G.W. Roemer, and. 2013. Distribution and Habitat Selection/Space Use of Migratory and Resident Golden Eagles (Aquila chrysaetos) in Areas with High Potential for Wind Energy Development in New Mexico. Project Status Report to Bureau of Land Management. 8. Carleton, SA and D Griffin. 2013. Development of a mark-resight survival model using passive integrated transponder tags on populations of band-tailed pigeons. Annual Progress Report to U.S. Fish and Wildlife Service. 9. Carleton, SA, C Strong, WG Gould, R Howard, C Nichols, and G Beauprez. 2013. Investigating Lesser Prairie-chicken breeding season habitat use, reproduction, and survival to understand patterns of declining lek attendance. Annual Progress Report to Candidate Conservation Agreement – Center for Excellence in Hazardous Materials Management. 7. Carleton, SA. 2013. Identifying the timing, origins, and reproductive status of illegally introduced walleye in a Wyoming Reservoir. Annual Progress Report to Wyoming Department of Game and Fish. Harings, N.M., K.G. Boykin, L. Oligschlaeger. 2013. Reptile Survey on HAFB: Reptile Occurrence and Habiat Associations on Holloman Air Force Base, South Central New Mexico. Technical Assistance Report. New Mexico Cooperative Fish and Wildlife Research Unit. Las Cruces, New Mexcio, 31pp. Seamster, V.A., K.G. Boykin, M. Wunder, and S.A. Carleton. 2013. Development of a decision support system for New Mexico conservation within the Great Plains Landscape Conservation Cooperative. Center for Applied Spatial Ecology, New Mexico Cooperative Fish and Wildlife Research Unit, Department of Fish, Wildlife and Conservation Ecology, New Mexico State University, Las Cruces, New Mexico, USA. Cain, J.W., III, G.W. Roemer, and K.J. Munro. 2012. Distribution and Habitat Selection/Space Use of Migratory and Resident Golden Eagles (Aquila chrysaetos) in Areas with High Potential for Wind Energy Development in New Mexico. Project Status Report to Bureau of Land Management. Overstreet, M.W., and J.W. Cain III. 2012. Survival, recruitment, and body condition of desert bighorn sheep in relation to forage conditions and precipitation on the Kofa National Wildlife Refuge, Arizona. Preliminary Project Report to USFWS-Kofa National Wildlife Refuge. Guy, R.K., K.G. Boykin, C. Caldwell, K.E. Young, and A.E. Ernst, 2012. Natural resource geographic changes HAFB Review: Influences of invasive plants and shifting dunes on White Sands pupfish and burrowing owl on Holloman Air Force Base, South central New Mexico. Technical Assistance Report. New Mexico Cooperative Fish and Wildlife Research Unit. Las Cruces, New Mexico, 89 pp. Boykin, K.G., R.K. Guy, M.T. Calkins, and M.C. Andersen. 2012. Modeling wildlife habitat throughout the Western United States: A prototype for use in Gap Analysis. New Mexico Cooperative Fish and Wildlife Research Unit. Technical Assistance Report. 31 pages. Cain, J.W., III, G.W. Roemer, and J.G. Barnes. 2011. Distribution and Habitat Selection/Space Use of Migratory and Resident Golden Eagles (Aquila chrysaetos) in Areas with High Potential for Wind Energy Development in New Mexico. Project Status Report to Bureau of Land Management. Guy, R.K., Boykin, K.G., Kepner, W., and McCarthy, J. 2011. Land Cover and Associated Datasets for the South Platte River Basin. New Mexico Cooperative Fish and Wildlife Research Unit. Technical Assistance Report. 13 pages. Calkins, M.T., K.G. Boykin, and M.J. McCann. 2010. Modeling Habitat For Six Species Of Concern In Nevada For The Nevada Division Of Wildlife: American Pika, Bendire’s Thrasher, Hoary Bat, Pygmy Short-Horned Lizard, Greater Short-Horned Lizard, and Sonoran Mountain Kingsnake. New Mexico Cooperative Fish and Wildlife Research Unit. Technical Assistance Report. 53 pages. Smith, K.N., M.L. Morrison, T. McFarland, and J.W. Cain, III. 2010. Black-capped vireo monitoring at Devils River State Natural Area: Methods and Results. Annual Report to Texas Parks and Wildlife Department. Smith, K.N., M.L. Morrison, T. McFarland, and J.W. Cain, III. 2010. Black-capped vireo monitoring at Dolan Falls Preserve: Methods and Results. Annual Report to The Nature Conservancy. Zeigler, M.P. and C.A. Caldwell. 2010. Evidence of climate change within the current range of Rio Grande cutthroat trout (Oncorhynchus clarki virginalis): Comanche and upper Pecos River watersheds of New Mexico. Report to U.S. Fish and Wildlife Service, Ecological Services Office, Albuquerque, NM. 38 p.
Cain, J.W., III, N. Owen-Smith and M.C. Vance. Influence of ecosystem heterogeneity and predation risk on habitat selection, resource use, and movements of buffalo, wildebeest, and zebra. Annual progress report to South African National Parks. Anderson, M.C., C. A. Caldwell, and R. DuBey. 2010. Grazing effects by cattle and elk on stream morphology, aquatic macroinvertebrate communities, water quality, and fish populations Valles Caldera National Preserve, New Mexico. Final Report to the Valles Caldera National Trust. 154 pp. Carleton, SA and M Kauffman. 2010. Final Report. Reconstructing life histories of Burbot, Lota lota, in the Wind River Drainage. Wyoming Game & Fish Department. Caldwell, C.A., SJ. Cho, and W.J. Remshardt. 2010. Effects of propagation, augmentation, and rescue activities on recovery and survival of Rio Grande silvery minnow (Hybognathus amarus). 97 pp. Zeigler, M.P. and C.A. Caldwell. 2010. Evidence of climate change within the current range of Rio Grande cutthroat trout (Oncorhynchus clarki virginalis): Comanche and upper Pecos River watersheds of New Mexico. Final Report to U.S. Fish and Wildlife Service. 38 pp. Carleton, SA and C Martinez del Rio. 2010. Final Report. A Genetic and Isotopic Characterization of Eastern and Western White-winged Dove Breeding Populations to Determine Wintering Ground Distribution and Population Genetic Structure. Texas Parks & Wildlife, Arizona Game & Fish Department, United States Fish & Wildlife Service. Young, K.E., K.G. Boykin, C. Caldwell, J. Seeger, M. Coolidge, T. Ellis, C. Aiello, E. Williams, and A. LeClerc. 2009. California spotted owl and northern goshawk surveys on the Stanislaus National Forest. Unpublished report, New Mexico Cooperative Fish and Wildlife Research Unit, New Mexico State University, Las Cruces, New Mexico. 46pp. Smith, K.N., M.L. Morrison, and J.W. Cain, III. 2009. Black-capped vireo monitoring at Devils River State Natural Area. Annual Report to Texas Parks and Wildlife Department. Smith, K.N., M.L. Morrison, and J.W. Cain, III. 2009. Black-capped vireo monitoring at Dolan falls Preserve. Annual Report to The Nature Conservancy. Caldwell, C.A., R. DuBey, W. Landis, K.K. Ayre, P.T. Bryant, L.A. Kaminski, and J.M. Stinson. 2009. An ecological risk assessment for the infection of whirling disease in populations of cutthroat trout in the Southwestern United States. New Mexico Cooperative Fish and Wildlife Research Unit, Las Cruces, New Mexico. 63 pp. Caldwell, C.A., S.J. Cho, and J. Remshardt. 2009. Effects of propagation, augmentation, and salvage activities on recovery and survival of Rio Grande silvery minnow (Hybognathus amarus). New Mexico Cooperative Fish and Wildlife Research Unit. 78 pp. Young, K.E., C.Caldwell, and L.B. Abbott. 2009. Early detection of invasive plant species on Holloman Air Force Base, New Mexico. Final Report. New Mexico Cooperative Fish and Wildlife Research Unit, Technical Assistance, Las Cruces, New Mexico. 89 pp. Boykin, K.G., R.K. Guy, and M.T. Calkins. 2009. Santa Fe County Wildlife Habitat GIS Modeling: Workshop and Conservation Priorities. New Mexico Cooperative Fish and Wildlife Research Unit. Technical Assistance Report. 58 pages. Caldwell, C.A. and W.G. Landis. 2009. Southwest regional risk assessment for whirling disease in native salmonids. National Partnership on the Management of Wild and Native Coldwater Fishes. Montan State University, Bozeman, MT. 66 p.
Cain, J.W., III and N. Owen-Smith. 2008. Diel patterns of habitat use by sable antelope, zebra, and buffalo in northern Kruger National Park. Research Progress Report. South African National Parks, Kruger National Park Scientific Services, Skukuza, South Africa. Coleman, S. and C.A. Caldwell. 2008. Post-wildfire effects on Gila trout in New Mexico. Final Report to National Fish and Wildlife Foundation. 25 pages. Boykin, K.G., A. Ernst, T. S. Schrader, and A. Nour El Sadek. 2008. Land Cover and Associated Datasets for the San Pedro River Basin Final Report. New Mexico Cooperative Fish and Wildlife Research Unit. Technical Assistance Final Report. Boykin, K.G.. 2008. Applications of SWReGAP Data to Conservation. Organization for Fish and Wildlife Information Managers. June 2008 Newsletter. Caldwell, C.A. 2008. Otter prey study: Contaminant assessment of their potential prey base in the upper Middle Rio Grande Basin, New Mexico. Submitted to the New Mexico Department of Game and Fish. 6 pages. U.S. Fish and Wildlife Service. 2007. Rio Grande silvery minnow: Genetics management and propagation plan. Rio Grande silvery minnow Genetics and Propagation Workgroup, Albuquerque, NM. 20pp. Boykin, K.G., and S. Propeck-Gray. 2007. Biological Data Survey for the Paseo del Norte Watershed. Technical Assistance Report. New Mexico Cooperative Fish and Wildlife Research Unit. Young, K.E., T.S. Schrader, K.G. Boykin, C. Caldwell, and G.W. Roemer. 2007. Early Detection of Invasive Species in Big Bend National Park: Remote Sensing and GIS Strategies. New Mexico Cooperative Fish and Wildlife Research Unit. Las Cruces, New Mexico. 103 pp + appendices. Boykin, K.G., G. Propeck, and C. Caldwell. 2007. Analysis of New Mexico Department of Game and Fish Habitat Stamp Program. Technical Assistance Report. New Mexico Cooperative Fish and Wildlife Research Unit. Thomas, K.A., K.A. Schulz, K. Boykin. 2006. A gap perspective of the Sonoran Ecoregion in Arizona. Borders, Boundaries, and Time Scales. In: Proceedings of the Sixth Conference on Research and Resource Management in the Southwestern Deserts ? Extended Abstracts. May 2-5, 2006, Tucson, Arizona. Pp 93-94. DuBey, R. and C.A. Caldwell. 2006. Relative susceptibility of Rio Grande cutthroat trout (Onchorhynchus clarki virginalis) to experimentally induced infection with Myxobolus cerebralis. Final Report to Whirling Disease Initiative, Montana Water Center, Montana State University. 21p. Caldwell, C.A. 2005. Atmospheric deposition of mercury in southcentral New Mexico. U.S. Bureau of Reclamation, El Paso Field Division. Cooperative Agreement Number 1425-98-FC-40-21830. 63 pages. Krausman, P.R., J.R. Morgart, L.K. Harris, C.S. O’Brien, J.W. Cain, III, and S.S. Rosenstock. 2004. Sonoran pronghorn literature: An annotated bibliography. U.S. Geological Survey Open-file Report 2005-1265. Caldwell, C.A., M. Ulibarri, R.T. Barrows, G.A. Kindschi. June 2005. Effects of diet on growth, survival, and performance of Rio Grande silvery minnow: Larvae through juvenile and subadult stages. U.S. Fish and Wildlife Service Leaflet. Bozeman National Fish Technology Center, 55p. Cain, J.W., III, P.R. Krausman, S.S. Rosenstock, and J.C. Turner. 2005. Literature review and annotated bibliography: Water requirements of desert ungulates. U.S. Geological Survey Open-file Report 2005-1141. Caldwell, C.A. 2004. Effects of diet on growth, survival, and performance of Rio Grande Silvery Minnow: Larvae through juvenile and subadult stages. Research Completion Report from U. S. Geological Survey, New Mexico Cooperative Fish and Wildlife Research Unit, Las Cruces, New Mexico to the U.S. Fish and Wildlife Service, Ecological Services Field Office, Fishery Resources Office, and the Dexter National Fish Hatchery and Technology Center. 55 pp. Krausman, P.R., J.W. Cain, III, and H.E. Johnson. 2004. Impact of the Bullock and Aspen fires on desert bighorn sheep habitat in the Pusch Ridge Wilderness Area, Arizona. Final report in fulfillment of contract #41-8197-3-0107. United States Forest Service, Coronado National Forest. Young, K.E., B.C. Thompson, R.Valdez , W.R. Gould, and A. Lafon. June. 2004. Assessment of predictive values from the aplomado falcon habitat suitability model: Validation information for conservation planning in the northern Chihuahuan Desert. Draft Final Report. New Mexico Cooperative Fish and Wildlife Research Unit, Las Cruces, NM. Stitt, E.W., J.W Cain, III, C.R. Schwalbe, and D.E. Swann. 2003. Using infrared cameras to monitor burrow associates of desert tortoises at Saguaro National Park. Final report to Western National Parks Association. DuBey, R., C.A. Caldwell, and R. Calamusso. 2003. Distribution and status of Rio Grande cutthroat trout and native species in the Carson and Santa Fe National Forests. Final Report to U.S. Forest Service, Region III, Cost Share Agreement No. 00-CS-11031600-023. Caldwell, C.A. 2003. Hybridization potential and spawning behavior of Rio Grande silvery minnow (Hybognathus amarus) and plains minnow (Hybognathus placitus). U.S. Fish and Wildlife Service, Ecological Services Office, Albuquerque, New Mexico. Caldwell, C.A., R.A. Arimoto, P. Swartzendruber, and E.M. Prestbo. 2003. Air deposition of mercury and other airborne pollutants in the arid southwest. Southwest Center for Environmental Research and Policy. Final Report. Project Number A-00-1. Dubey, R., R. Calamuso, and C. A. Caldwell, 2003. Distribution and status of Rio Grande Cutthroat Trout and Native Species in the Carson and Santa Fe National Forests. USDA Forest Service Rocky Mountain Research Station - Technical Completion Report, Project 00-JV-11221606-163. New Mexico Cooperative Research Unit, New Mexico State University, Las Cruces, NM. DuBey, R. and C. A. Caldwell, 2002. Ecological Differentiation and Survivability of Tubifex tubifex Infested with Myxobolus cerebralis in the San Juan River, New Mexico Tailwater Blue-ribbon Trout Fishery - Whirling Disease Initiative Final Technical Report - 2001-2002. New Mexico Cooperative Research Unit, New Mexico State University, Las Cruces, NM. Boykin, K.G. In Press. Fire Management over large landscapes: a Hierarchical Approach. Proceedings of the 2002 Fire Conference on Managing fire and fuels in the remaining wildlands and open spaces of the southwestern United States. December 2-5, 2002, San Diego, CA. Gen. Tech. Rep. PSW-189, Albany, CA: Pacific Southwest Research Station, Forest Service, U.S. Department of Agriculture. Boykin, K.G. In Press. The Ecology of Fire on White Sands Missile Range, New Mexico: Implications for Fire Management. Proceedings of the 2002 Fire Conference on Managing fire and fuels in the remaining wildlands and open spaces of the southwestern United States. December 2-5, 2002, San Diego, CA. Gen. Tech. Rep. PSW-189, Albany, CA: Pacific Southwest Research Station, Forest Service, U.S. Department of Agriculture. Boykin, K.G., D.I. Boykin, R. Stovall, and R. Whitaker. In Press. Communication and Implementation of Current Research in Fire Management at varying Spatial and Governmental Scales. Proceedings of the 2002 Fire Conference on Managing fire and fuels in the remaining wildlands and open spaces of the southwestern United States. December 2-5, 2002, San Diego, CA. Gen. Tech. Rep. PSW-189, Albany, CA: Pacific Southwest Research Station, Forest Service, U.S. Department of Agriculture. Young, K.E., B.C. Thompson, D.M. Browning, Q.H. Hodgson, J.L. Lanser, A. Lafon Terrazas, W.R. Gould, and R.Valdez. September 2002. Characterizing and predicting suitable aplomado falcon habitat for conservation planning in the northern Chihuahuan Desert. Final Report to Bureau of Land Management and U.S. Army, Research Work Order No. 31, New Mexico Cooperative Fish and Wildlife Research Unit, Las Cruces, New Mexico. Arana, M.A., and B.C. Thompson. July 2002. Population enumeration and habitat management assessment for desert bighorn in the Ladron Mountains, New Mexico. Research Completion Report to Bureau of Land Management and New Mexico Department of Game and Fish, Research Work Order No. 35 and NMDGF Contract No. 01-516.64, New Mexico Cooperative Fish and Wildlife Research Unit, Las Cruces, New Mexico. Young, K. 2002. The endangered falcon of the Chihuahua Desert. Chihuahuan Desert Nature Park (New Mexico) - The Nature Park News 11(2):3. Bombay, H.L., M.L. Morrison, D.E. Taylor, and J.W. Cain. 2001. Annual report and preliminary demographic analysis for willow flycatcher monitoring in the Central Sierra Nevada. U.S. Forest Service, Tahoe National Forest. Sykes, C. and C.A. Caldwell. 2001. San Juan River trout fishery monitoring plan: Fish health assessment. Final Report to the U.S. Bureau ofReclamation, Upper Colorado Region, Western Colorado Area Office. Cooperative Agreement No 4-FC-40-15970. Boykin, K.G., J. Bak, A.J. Kroll, M. Rivieccio, R. A. Deitner, B. C. Thompson, and M.C. Andersen. 2001. Application and assessment of species at risk conservation approaches at Fort Bliss Military Reservation and White Sands Missile Range, New Mexico and Texas. Research Completion Report to U.S. Army Environmental Center, Research Work Order No. 32, New Mexico Cooperative Fish and Wildlife Research Unit, Las Cruces, New Mexico. 95pp + 10 app. Costello, C.M., D.E. Jones, K.A. Green Hammond, R.M. Inman, K.H. Inman, B.C. Thompson, R.A. Deitner, and H.B. Quigley,. 2001. A study of New Mexico black bear ecology with models for population dynamics and habitat suitability. Final Report, Federal Aid in Wildlife Restoration Project W-131-R, New Mexico Department of Game and Fish, New Mexico Cooperative Fish and Wildlife Research Unit, Las Cruces; Hornocker Wildlife Institute, Bozeman, Montana; and Ecological Modeling, Albuquerque, New Mexico. 197pp. Hamazaki, T., K.G. Boykin, and B.C. Thompson. 2001. Incorporating landscape context in conservation planning models for Fort Bliss Military Reservation, New Mexico and Texas. Research Completion Report to Fort Bliss Directorate of Environment, Research Work Order No. 32, New Mexico Cooperative Fish and Wildlife Research Unit, Las Cruces, New Mexico. 66pp. Thompson, B. 2001. Mexican Gray Wolf Recovery Program Interagency Management Advisory Group (IMAG) review. Special Technical Assistance Report to U.S. Fish and Wildlife Service, New Mexico Cooperative Fish and Wildlife Research Unit, Las Cruces, New Mexico. 6pp. Thompson, B., and C. Moon. 2001. Promotion and employment mobility survey. Special Technical Assistance Report to New Mexico Department of Game and Fish, New Mexico Cooperative Fish and Wildlife Research Unit, Las Cruces, New Mexico. 9pp. Young, K.E., Q.H. Hodgson, D. Browning, J.L. Lanser, B.C. Thompson, and R.Valdez. 2001. Determination of habitat suitability for aplomado falcons on public lands in southern New Mexico. Project Progress Report (March 2000-May 2001), Research Work Order No. 31, New Mexico Cooperative Fish and Wildlife Research Unit, Las Cruces, NM. 23pp. Cain, J.W., M.L. Morrison, and W.E. Avery. 2001. Avian behavior and winter habitat use at Beale Air force Base, California (November 2000–February 2001). Final Report to Beale Air Force Base, United States Air Force. Boykin, K.G., A.D. DeLorenzo, B. McKown, R. Deitner, and B.C. Thompson. 2000. Southwest Regional Gap Analysis Project: The New Mexico Ecoregional Component (Start-up Project). Research Completion Report, Research Work Order No. 34, New Mexico Cooperative Fish and Wildlife Research Unit, Las Cruces, New Mexico. 59pp. Thompson, B. C. and M. L. Munson-McGee, technical compilers. 2000. Gila counterpoint: Another diagnosis for the ailing Gila Wilderness. New Mexico Chapter of The Wildlife Society, Albuquerque, New Mexico. 27pp. Thompson, B.C., and K. Boykin. 2000. Approach to regional animal modeling in the southwest. U.S. Department of the Interior, U.S. Geological Survey, Gap Analysis Bulletin. 9:27-28. Morrison, M.L., H.L. Bombay, J.W. Cain, and D.E. Taylor. 2000. Annual report and preliminary demographic analysis for willow flycatcher monitoring in the central Sierra Nevada. U.S. Forest Service, Tahoe National Forest. Caldwell, C. A. 2000. Atmospheric deposition of mercury in southcentral New Mexico, USA. Technical Report. U.S. Bureau of Reclamation, El Paso, TX. Costello, C. M., R. M. Inman, K. L. Higgins, D. E. Jones, B. C. Thompson, H. B. Quigley, and M. G. Hornocker. August 2000. Population characteristics and ecology of New Mexico black bears. Annual Progress Report to New Mexico Department of Game and Fish, New Mexico Cooperative Fish and Wildlife Research Unit, Las Cruces, NM. Rivieccio, M, B. McKown, K. Boykin, and B. Thompson. April 2000. Spatial depiction of desert bighorn sheep (Ovis Canadensis mexicana), oryx (Oryx gazella), javelina (Tayassu tajacu) and fire occurrence in San Andres National Wildlife Refuge, NM. 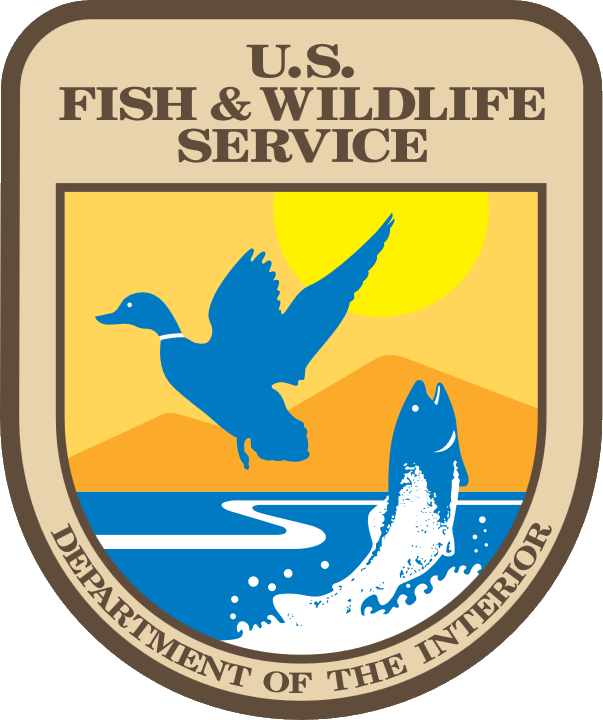 Technical Assistance Completion Report for San Andres National Wildlife Refuge, New Mexico. New Mexico Cooperative Fish and Wildlife Research Unit, Las Cruces, NM. Young, K. E., Q. H. Hodgson, A. Lafon, B. C. Thompson, and R. Valdez. March 2000. Determination of habitat suitability for aplomado falcons on public lands in southern New Mexico; Project Progress Report. Research Work Order No. 31, New Mexico Cooperative Fish and Wildlife Research Unit, Las Cruces, NM. Bombay, H.L., J.W. Cain, M.L. Morrison, and L.S. Hall. 1999. Annual report for the challenge cost-share agreement between California State University, Sacramento and U.S.D.A. Forest Service, Tahoe National Forest regarding willow flycatcher monitoring. Morrison, M.L., L.S. Hall, H.L. Bombay, and J.W. Cain. 1999. Annual report for the memorandum of understanding between California State University, Sacramento and California Department of Fish and Game regarding willow flycatcher.